I’m always looking for new and interesting recipes to make. I was browsing the interwebs the other day, and came across this recipe and thought it looked too delicious to pass up. As an added bonus, it was something I could make in advance and have ready after a long day of work and quick run at the park. With a few substitutions from the original recipe and and an easy day on simmer in the crockpot, I had a tasty dinner — with leftovers for lunch the next day (and a few days after that)! Slice bread 13 times, almost all the way through but leaving 1/2 inch space at the bottom. (I could only get 11 slices.) 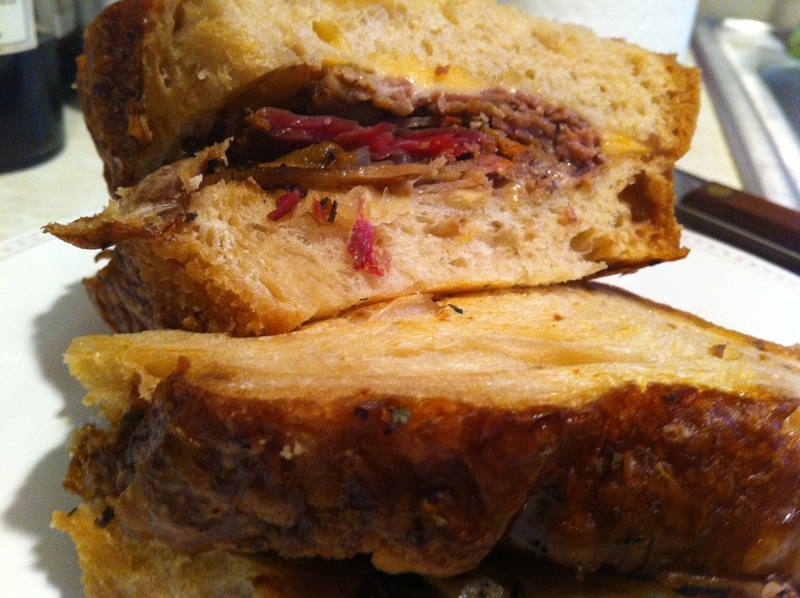 Layer three slices of cheese atop three slices each of roast beef, capicola, and salami. To with pepper rings and onions. Sprinkle with oregano and repeat. Fold each bundle in half and tuck down between every other slice of bread to create each sandwich. 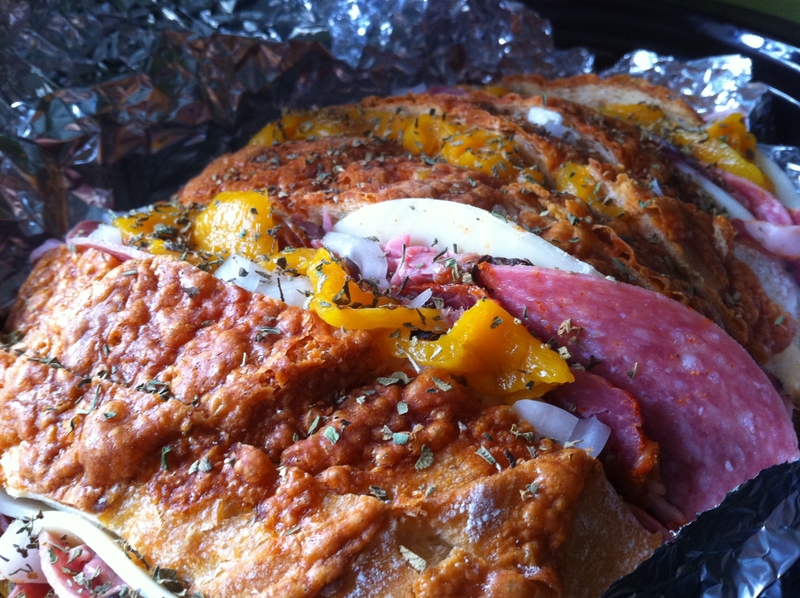 The sandwich may have “arched” back, gently push down and wrap tightly in foil. Place in crockpot on top of balls of foil. Pour in 1/4 cup of water. (This step does nothing to the sandwich. I just think it makes sense to not have a dry crockpot.) Cover and cook on low for 2-4 hours OR on simmer the whole day. To serve cut each sandwich apart, drizzle the insides lightly with olive oil, and enjoy! That looks so good will def. be trying this recipe! 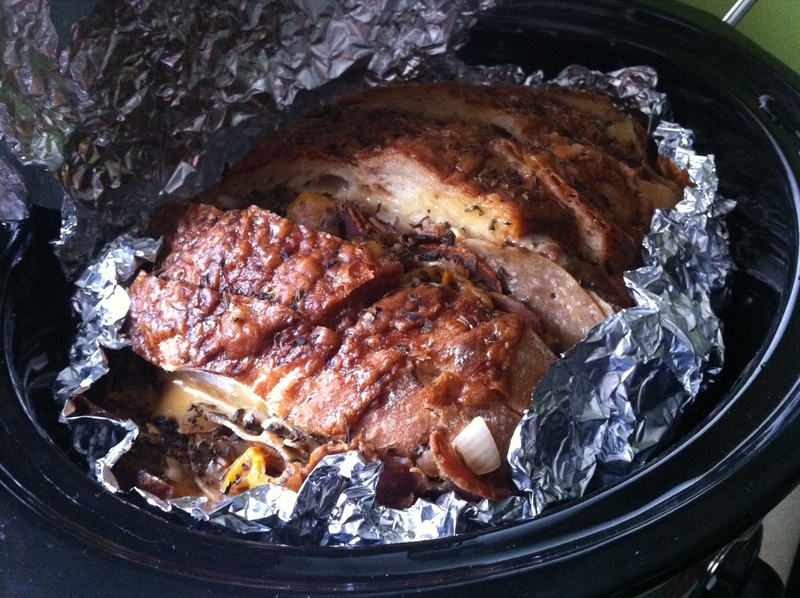 I love crockpots too…made Italian Beef the other night so nice to come home to food! I’m so hungry now. Def will have to try this.